The Nuevo motorhome is a spacious and comfortable vehicle for up to 2 guests. 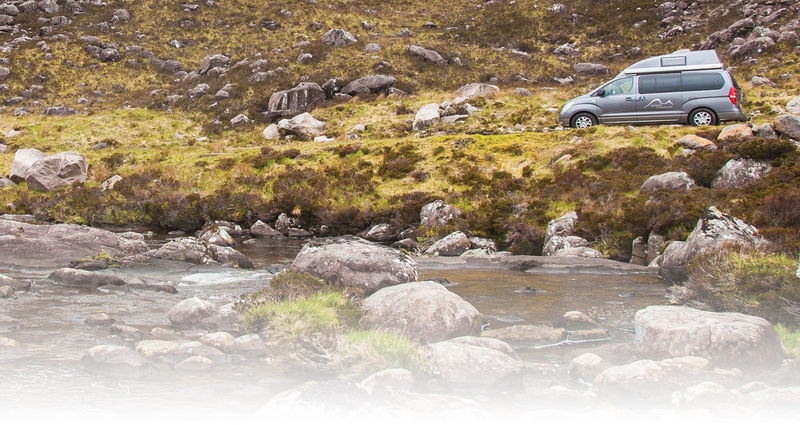 With its stylish interior and modern features means you will have a comfortable adventure in whichever direction you travel! 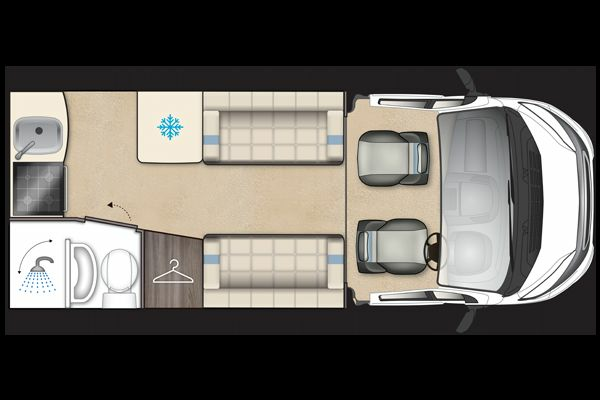 Vehicle interior - This spacious motorhome has a versitile dining area that converts into a bed at night, perfect for those customers who don't always like the space within the van being used up by a fixed bed. For your sleeping arrangements, your dining sofas conveniently convert into a double bed. You have a good size wardobe so you can bring clothes suitable for the four seasons in one day type of weather that Scotland provides! At the rear of the vehicle there is a spacious washroom, with sink, 18L cassette toilet and separate shower cubicle with hot and cold water. Additional features comprise of dual fuel heating system, built in window blinds, reversing sensors, cruise control and cab air-con. With this being one of our pet friendly vehicles, you are allowed to travel with your furry companion/s. Please make sure to read our *Pet Policy* before making a booking as there are extra terms and conditions that apply. Should you have any questions regarding our Pet Policy, please do not hesitate to get in touch. 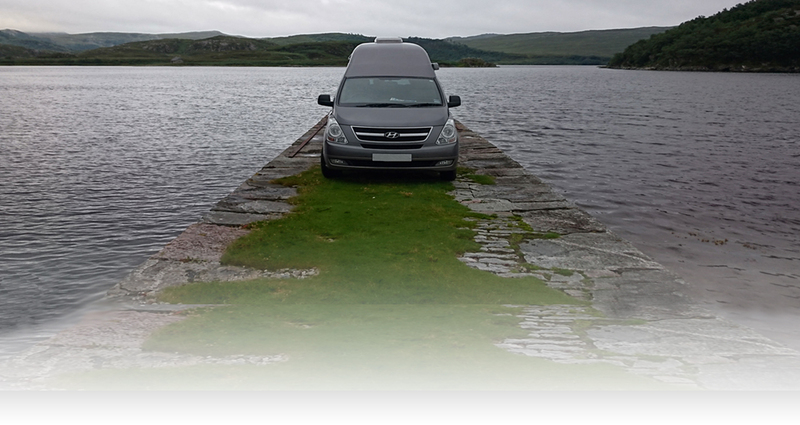 As our vehicle is currently in production we only have stock photos, as soon as we receive the vehicle we will provide further photos, 360 tour and videos of the motorhome. Campervan easy to drive, even on the single track roads, with the height of the van the views are stunning. 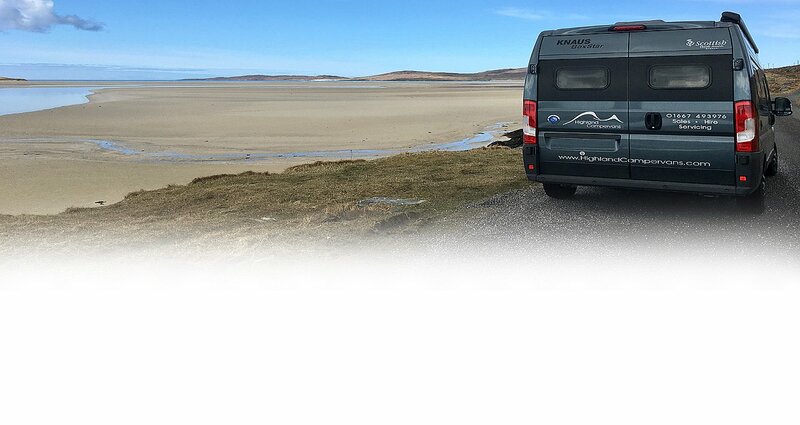 The only way to see the North of Scotland is by campervan. Very relaxing and peaceful experience for all the family.